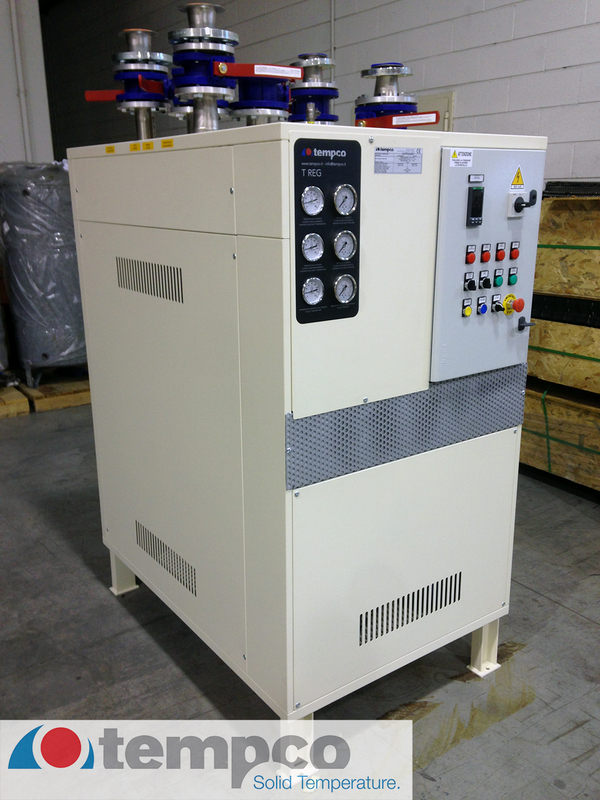 We recently supplied a number of thermoregulating units to a leading pharmaceutical company, aimed to regulate temperature on a series of reactors employed in a strategic production process. 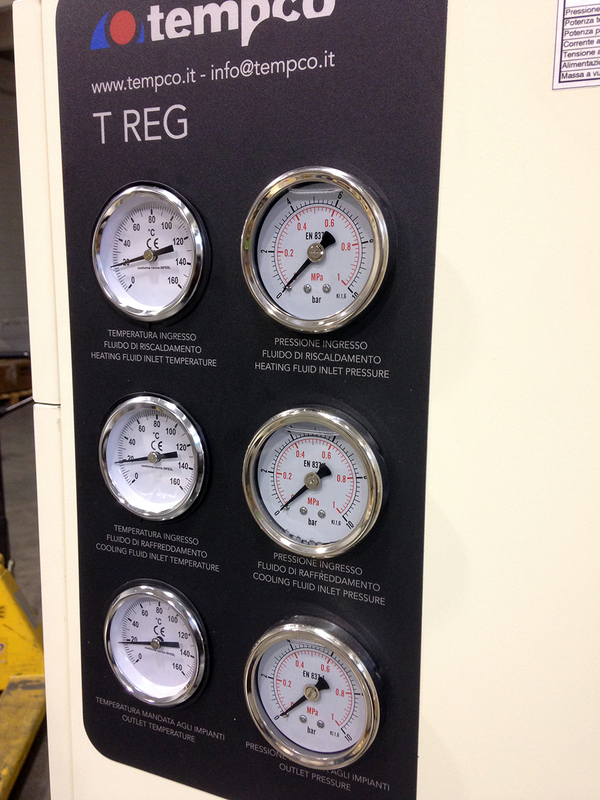 The production presents some very critical temperature regulation requirements. The criticality is not depending on the temperature levels, as the thermoregulation unit works on a set-point between +15 and +75° C.
Working fluids are warm water coming from a boiler and from a chiller, already in use in the production facility for other technical purposes. The specific pharma application is critical because the thermoregulation must be constant and ensured upon any circumstance. This mandatory requirement led to a special design with a double automatic stand-by pump, in order to ensure in any case the constant temperature regulation. 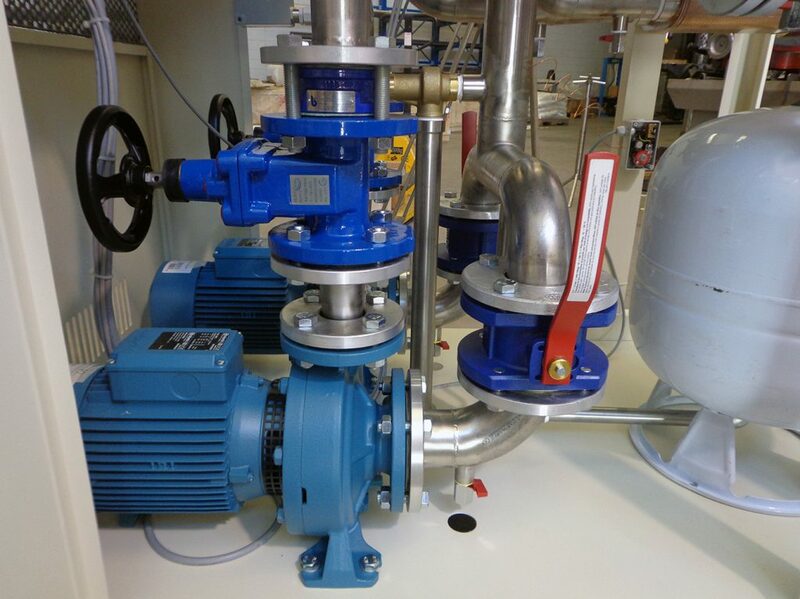 The system also features two modulating control valves managed by a thermoregulator, respectively employed on the cooling and heating circuit, maintaining a constant temperature in a range of +/-1°C referred to the current set-point. After the setting phase, the production in series will start, also including an additional variant with electrical heating.